My name is Manuel and I'm from Berlin, Germany. Last summer I flew with 2 fellows in a C-172 VFR to Portugal and on our tour back I made a damn fool mistake. We came from Vigo (ESP) and made a fuelstop in Santanter (ESP) and crossed then the border for destination Bordeaux. As you might know, south of LFBD is the Z.I.T "le barp" and I flew through it on descent to LFBD. Although we made a detailed flight planning, filed a flight plan, where on steady radio contact (in this moment with aquitaine approach, which said nothing (!)) I crossed "le barp" in 1900ft instead of 3500ft. After landing Gendarmerie nationale picked me up, when we reached our parking position and told me about the infringement. I followed them to there office and had to write a report, had to make clear that it was unintended. after some time and some telephone calls they let me go, with the advice to get back the licence tomorrow when the rest has been clarified. The next day I got my licence back after some signatures and the police agent told me after my request that I don't have to expect any further consequences. Half year later on 31.12 I got a letter from the Ministere de L'ecologie, de L'energie, du developpement durable et de la mer with some copies like radar extracts, copies of my report I wrote in merignac and so on. They told me filling in two further form sheets (again a "statement of the crew member involved") and send it back within the next 30 days. do you think I could be lucky with this mistake and that I won't have any further consequences when I really make clear that it was undeliberatelly?! How are ZIT infringements normally treated?!?! Is there a chance to get of it fairly lightly?! I know this region and this ZIT, that's sur a lot of pilot enter in this area undeliberatelly, so i don't think you will be in truble for that... because you didn't know the region and this region is not very easy to know exactly where you are ! If i were you i would answer in english, i don't think you will have problem in english but write your letter in the language is easier for you ! good luck with french administration... beybye ! have nice flight !! Yeah well, that's not much luck indeed. To be honest with you, when I first read your comment I thought 'you really were lucky' because of the cases I know it's not the way it usually ends. Now, since they came back to you, it seems more like them. I really wish you the best of luck with it but I don't reckon you'll get through without anything, unless they reconsider the infringement as you being non-french and possibly not aware of the procedures. I don't know, and neither do they I suppose. I read somewhere about people losing their licence, and possibly being jailed. I don't want to scare you, but they really go crazy with their "ZIT"s and take it way too seriously. The best advise I could give you is to say the least. Nothing other than it was (obviously) non-intentional. Don't hesitate a single second to say that you were in contact with Bordeaux at all times, and that they didn't report anything wrong, at least in the first place. Don't blame them, just emphasize the fact you thought you were doing the right thing and nothing or nobody went to disrupt that feeling. 'Ministere de l'ecologie, de l'Energie, du developpement durable et de la mer' regulates everything which is to do with energy producing facilities such as nuclear plants (what the ZITs are meant to protect). As far as I know, they do not have any control on your licence and shouldn't be the ones to take any action against you. Lets hope it's just a procedure to close the case. Also, you should send the letter in French. Send me yours in English, I will translate for you. Although I must admit that could possibly be a good idea to reply in English and show you were not in your home country and not fully aware of how careful you were expected to be about ZITs. It's up to you. Best of luck, keep us updated when you know more. I would say that being in contact with ATC doesn't exempt you being aware of restricted zone. As a captain, you're still responsible of your flight track. the right thing and nothing or nobody went to disrupt that feeling. Some pilots were jailed. 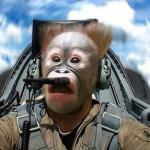 However, you must be aware that these pilots were intercepted by fighter jets and they did not comply immediately. The usual procedure is a "simple" audition from Gendarmerie about the infringement. Usually they don't bring you to jail, unless you deliberately commit an infringement and make them problem ! The usual ending is just a warning for the pilot, and sometimes a fine. But losing licence is not the rule ! at first: thanks for your answers! it really helps to get some further opinions about this tricky incident. well, GF232, I would really really appreciate your offer for the translation! I've to admit writing in french although it isn't my native language could help to emphasize the fact that I take this incident seriously. I thought long about the right words, wrote it first in German and tried then to translate with hopefully adequate words for not just a corresponding translation in French. I hope for more answers, opions, thoughts! the return trip from our conjoint holiday flight. stations as well as short before landing in Bordeaux with Aquitaine Approach. liability of the aeronautical station. that I have not acted consciously and deliberately. Le 23 août 2009, j'ai volé avec deux amis de Vigo (Espagne) à Bordeaux, avec un arrêt pour refueler à Santander (Espagne). Nous étions sur l'étape de retour de notre vol de vacances. Après une planification précise du vol et après avoir déposé un plan de vol, qui est obligatoire, nous avons quitté l'Espagne à approximativement midi à bord du Cessna 172 immatriculé D-EADY. Après l'étape carburant à Santander, nous avons franchi la frontière française et nous sommes dirigés vers Bordeaux, l'aéroport de destination. Sur la totalité du vol nous avons gardé un contact ininterrompu avec les stations aéronautiques appropriées ainsi qu'à l'arrivée avec Aquitaine Approche. A ce moment là, nous transpondions 1236 avec le Mode S activé, et nous étions identifiés radar. Venant du sud-ouest, nous nous sommes rapprochés de Bordeaux et avons commencé notre descente sans interruption relativement tôt. Nous suivions la navigation sur nos cartes ainsi que sur notre équipement de bord et pensions survoler la partie occidentale de la Z.I.T « Le Barp » à 1900ft. We were in the thought having passed “Le Barp” ( sorry, can't translate that since I don't know what you mean? ) et poursuivions notre route jusqu'au point de report obligatoire « Lima ». À aucun moment nous avons reçu un quelconque avertissement via radio d'Aquitaine Approche ni une alerte d'intrusion potentielle de la Z.I.T. (en Allemagne, nous sommes avertis d'une intrusion possible, avant de rentrer dans la zone concernée). Cela-dit, j'ai conscience du fait qu'il s'agit d'un service et que ce n'est pas la responsabilité de la station aéronautique. Nous avons donc été surpris d'être notifié par la police après avoir atterrit, et ce sans savoir que nous étions entrés dans la Z.I.T. «Le Barp ». J'ai suivi les conseils de la police et étais responsable de toutes les questions auxquelles j'ai répondu précisemment et explicitement qu'il s'agissait d'une erreur et que nous n'étions pas délibérément entrés dans la Z.I.T., et que nous pensions être plus à l'ouest. 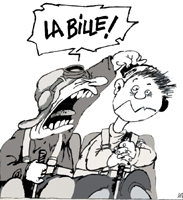 Mes deux passagers, également pilotes privés (Kurt Mindt et Dominik Birnback), et qui ont suivi la navigation et ont accompagné activement le vol, pensaient que nous avions contourné « Le Barp ». J'inclue dans ce rapport notre plan de vol pour ce vol, de sorte qu'il soit évident qu'il n'a jamais été prévu de voler dans des espaces interdits tels que la Z.I.T. « Le barp ». Après l'investigation menée par la police (there are two bodies in France associated with the Police, one called simply Police, and the other one Gendarmerie. I suppose it was the latter, can you confirm it? If so, then replace 'Police' by 'Gendarmerie') et après avoir complété des documents contenant mes information personnelles, la police à l'aéroport n'a pas vu d'objection à ce que j'effectue les vols restant pour rentrer en Allemange, après que j'ai expliqué ne pas avoir agi consciemment ni délibérément. J'ajoute que je n'ai encore jamais eu un quelconque conflit juridique, ce qui est même vérifié par l'administration allemande pour tout pilote. charity" : not sure you can say that here). Moi je comprends : "nous étions dans l'idée d'avoir (déjà) passé le Barp." Sur le complément aux cartes aéronautiques seconde édition 2009 page 100, je lis à condition de pénétration : perméable aux ACFT IFR ayant reçu une clairance d'un organisme ATS. Je sais que c'était un vol en VFR ! Il vous faut insister sur le fait que vous étiez en liaison, pendant tout le vol et particulièrement cette partie du vol, avec un organisme ATS. Il est bon aussi de montrer que cette zone d'essais n'est pas totalement imperméable (puisque permise aux ACFT en IFR) de part la volonté de l'autorité elle même. Patrick a écrit: Il vous faut insister sur le fait que vous étiez en liaison, pendant tout le vol et particulièrement cette partie du vol, avec un organisme ATS. Le fait d'être en contact avec un service de controle ne dédouane en aucun cas le pilote, qui reste responsable de sa trajectoire et se doit de faire en sorte de rester en dehors d'une zone interdite. Des décisions de justice l'ont montré. Patrick a écrit: Il est bon aussi de montrer que cette zone d'essais n'est pas totalement imperméable (puisque permise aux ACFT en IFR) de part la volonté de l'autorité elle même. golfcharlie232 a écrit: Nous avons donc été surpris d'être notifié par la police après avoir atterrit, et ce sans savoir que nous étions entrés dans la Z.I.T. «Le Barp ». Surprisingly we got notice from the police after landing, that without our knowing and our intention we however flew into the Z.I.T. “Le Barp”. Du coup je traduirais plutôt ça du style "Nous avons donc été surpris quand la police nous a informé après atterrissage que nous étions entrés à notre insu dans la Z.I.T "Le Barp" " ? Pareil : "Nous étions persuadés d'avoir (déjà) dépassé la zone du Barp"
En effet, c'est bien mieux comme ca. Je ne trouve pas ça très français, on notifie quelque chose, non ? D'autant que dans la phrase initiale, si on supprime la virgule inutile le sens est un peu différent il me semble : Du coup je traduirais plutôt ça du style "Nous avons donc été surpris quand la police nous a informé après atterrissage que nous étions entrés à notre insu dans la Z.I.T "Le Barp" " ? Ben franchement il y a pire que toi je pense. De ce que je lis tu t'es très bien débrouillé au contraire ! @GC232 : Tout à fait d'accord avec Padawan, je trouvais pas mal ce que tu avais écrit ... Y'a juste "stations aéronautiques" que je trouve un peu bizarre, enfin moi j'ai jamais utilisé ce mot en tout cas. "Le 23 août 2009, j'ai volé avec deux amis de Vigo (Espagne) à Bordeaux, avec un arrêt pour refueler à Santander (Espagne). une planification précise du vol et après avoir déposé un plan de vol, ce qui est obligatoire, nous avons quitté l'Espagne aux environs demidi à bord du Cessna 172 immatriculé D-EADY. activé, et nous étions identifiés radar. Venant du sud-ouest, nous nous sommes rapprochés de Bordeaux et avons commencé notre descente continue relativement tôt. Nous suivions la navigation sur nos cartes ainsi que sur notre équipement de bord et pensions survoler la partie occidentale de la Z.I.T « Le Barp » à 1900ft. Nous étions persuadés d'avoir déjà dépassé la zone du Barp et poursuivions notre route jusqu'au point de report obligatoire « Lima ». À aucun moment nous n'avons reçu un quelconque avertissement par radio d'Aquitaine Approche ni une alerte d'intrusion potentielle de la Z.I.T. (en Allemagne, nous sommes avertis d'une intrusion possible, avant de rentrer dans la zone concernée). Cela-dit, j'ai conscience du fait qu'il s'agit d'un service et que ce n'est en aucun cas la responsabilité de l'organisme du contrôle. ce vol, de sorte qu'il soit évident qu'il n'a jamais été prévu de voler dans des espaces interdits tels que la Z.I.T. « Le barp ». Après l'investigation menée par la police et après avoir complété des documents contenant mes informations personnelles, la police à l'aéroport n'a pas vu d'objection à ce que j'effectue les vols restants pour rentrer en Allemange, après que j'ai expliqué ne pas avoir agi consciemment ni délibérément. Je regrette vraiment cet incident, et j'espère que vous l'appréhenderez avec la compréhension nécessaire au regard de cette situation tout à fait involontaire. Julien Robin a écrit: Le fait d'être en contact avec un service de controle ne dédouane en aucun cas le pilote, qui reste responsable de sa trajectoire et se doit de faire en sorte de rester en dehors d'une zone interdite. Des décisions de justice l'ont montré. Je ne cherche pas à dédouaner le pilote de ses responsabilités. Je pense que c'est utile de renforcer le sentiment que le pilote a agit de bonne foi et qu'il n'a pas cherché à dissimuler quoique ce soit. Ma seconde réflexion est pour essayer de démontrer que le fait de survoler un espace interdit de façon temporaire ne va pas provoquer systématiquement du danger pour les installations protégées. Je ne prétends pas non plus que c'est bien de le faire ! Je crois que tout le monde à le droit de se défendre. I think that your track is non intentional is assumed by authority, otherwise you would not able to continue your flight. So don't search anny excuses ou anything else, remain in good liver in saying that is a navigation issue and that you really tought to be out of the ZIT. In most of case, when the inquiry goes well (the driver obeys immediately, still polished, etc.) penalties are generally a caution, sometimes a lump sum; but rarely jail. Ça sent le traducteur automatique non ?